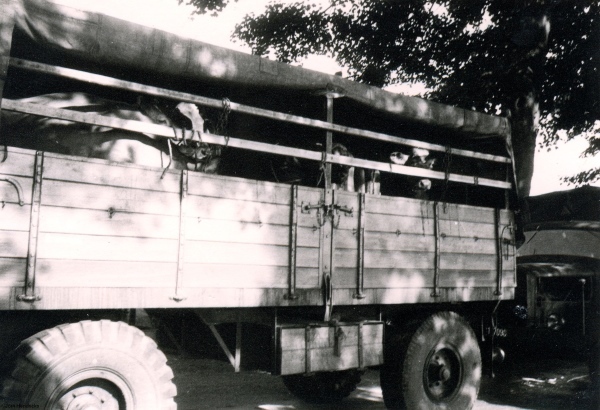 On June 22, 1950, 42 heifers arrive for distribution in the Reichswald settlement. The makeshift school in a barrack until a new one can be constructed, 1950. Photo courtesy of Heimatvereins Reichswalde.